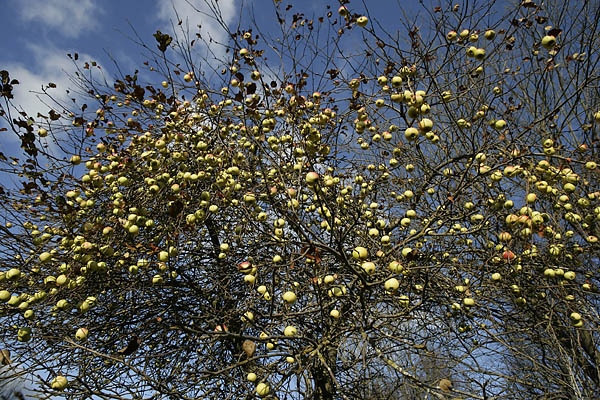 They are probably fruits of wild or crab apple trees as well as cultivated apple trees that have run wild. The fruits of domestic apple trees grown from thrown-away apple cores will not have be the same as the grafted mother tree apples. Crab apples have survived until today on our islands. 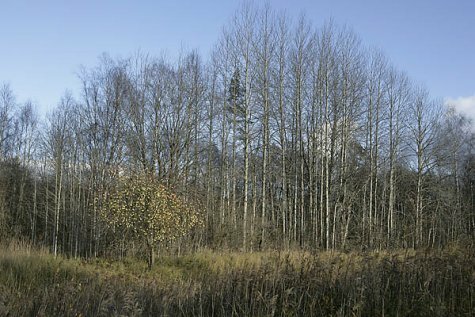 On Saaremaa, in the forest near Ansi village, crab apple trees together with oaks and birches are quite noticeable. In Läänemaa and the southern mainland we sometimes see solitary trees growing as shrubs. The soil must be rather fertile and there must be plenty of light. The trees are frost-tender too. The bark is crusty, greyish brown in colour. The tips of shoots are sharp, like thorns. The fruits are small and round, with a diameter of up to three centimetres. Yellowish green as ripe, with red cheeks on the sunny side. The taste is very sour, sometimes outright bitter. 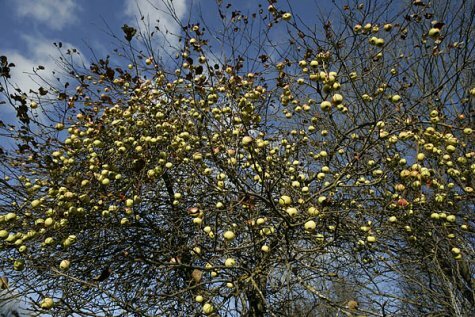 The fruits keep well on the trees and after frosts they were used for food in the old days, even in the 19th century – the taste was much improved. But neither crab apples nor escaped domestic apples are left on the trees, the list of users is quite long.